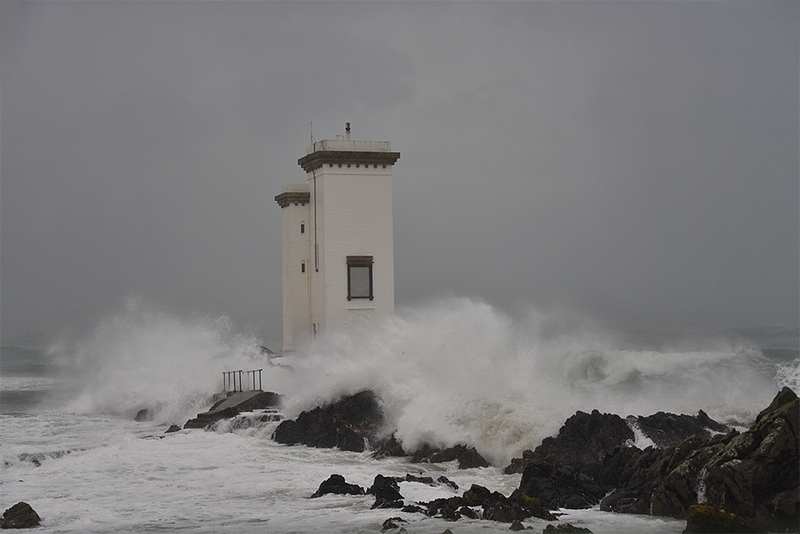 Taken not long before the sun broke through and a rainbow appeared, a view of Islay’s Carraig Fhada lighthouse during a hailstorm when storm Abigail passed through. This entry was posted in Cloudy Weather, Landscape, Lighthouses, New Post and tagged Carraig Fhada, Islay, Port Ellen by Armin Grewe. Bookmark the permalink. It wasn’t really, as it was a southerly wind. It was very very wet though. I knew what I was letting myself in for, so I took all the good periods (and I think I caught most of them) and made the best of them. The rest of the time I did indeed stay in at the open fire (or visited friends).